On the previous page, a fortnight ago, I left us standing on Bootham outside Bootham Park Hospital, looking in through the railings. 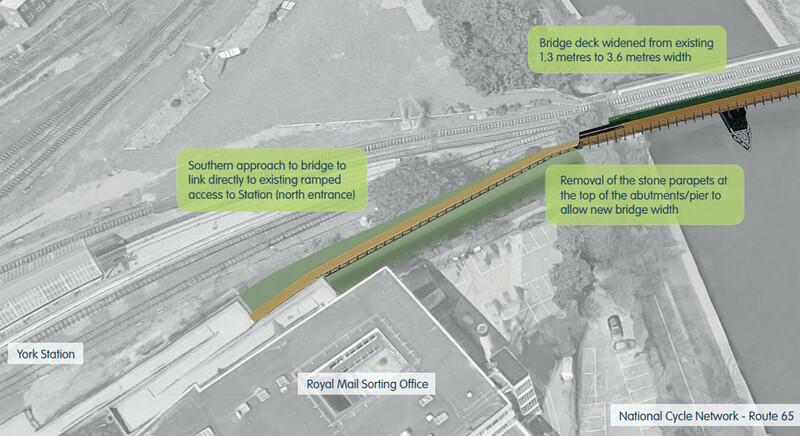 About time we dashed off elsewhere, prompted by exciting plans for Scarborough Bridge. It’s not far from Bootham Park to Scarborough Bridge, but we do need to cross a busy road, so let’s all remember to look both ways and only cross when it’s safe. Maybe hold hands. Though not if you’re on a bike, which you might be on this imaginary journey, which I’m going to write about from the perspective of a cyclist and a pedestrian, because the exciting news is relevant to people on two wheels and pedestrians. We’re going down the street of St Mary’s, the entrance to which is pleasingly placed exactly opposite the once-grand gates to Bootham Park. If you’re on a bike, and have just cycled through the pleasant grounds of Bootham Park, following the blue signs indicating cycle-friendly routes, you’re perhaps continuing on the cycle-friendly route towards York station. In which case you might need to wait awhile for a gap in the busy traffic on Bootham, at certain times of the day. In the evening it’s quiet. Let’s imagine it quiet, as we walk/wheel on our way. Then we’re on the handsome street of St Mary’s, and if it’s in the later part of the day, on a bright day in summer, a pleasing golden light will be ahead of us. 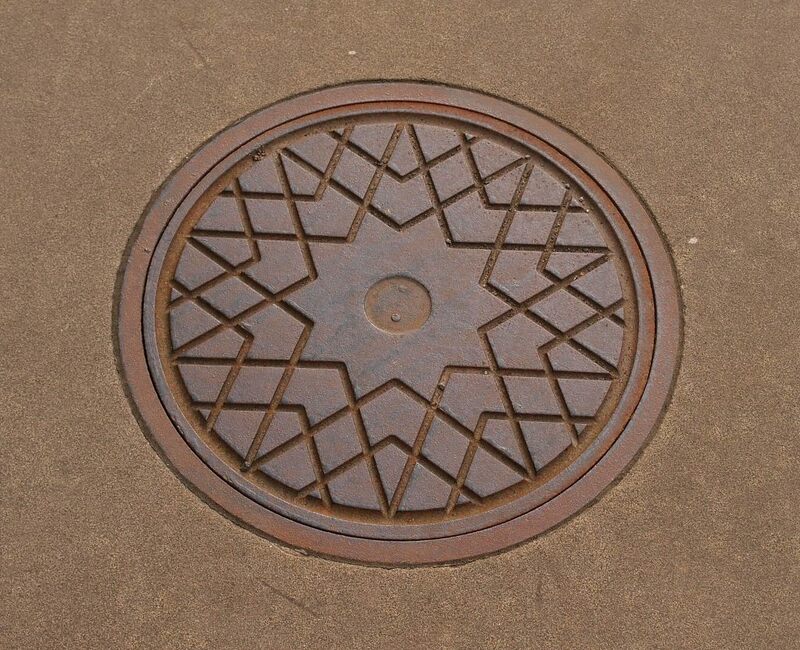 It might bring to our attention these handsome old coal hole covers in the large slabs of pavement on the left hand side. But we haven’t time to think about the ancient things, as we’re rushing excitedly along the cycle/pedestrian access towards Scarborough Bridge. Across the ancient snicket, down the side of the car park (streets of terraced housing once, within living memory), alongside the York to Scarborough railway line. 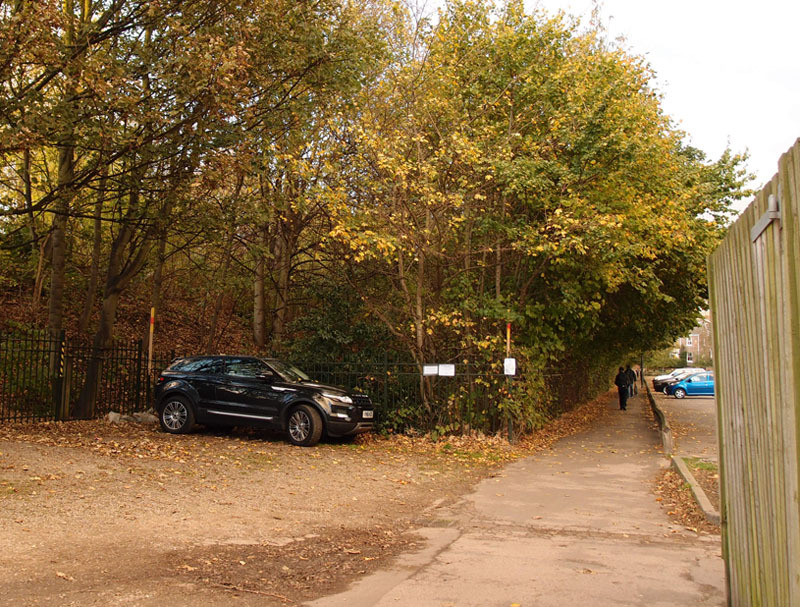 The railway line is hidden behind steel fencing and an area of trees, shrubbery, and litter. Or that’s the plan. You can find more details on www.york.gov.uk/scarboroughbridge, and see the ‘further information’ links below. It would mean the loss of some trees and shrubbery, which is the only thing I can think of that seems like a negative aspect. Otherwise it all seems positive. 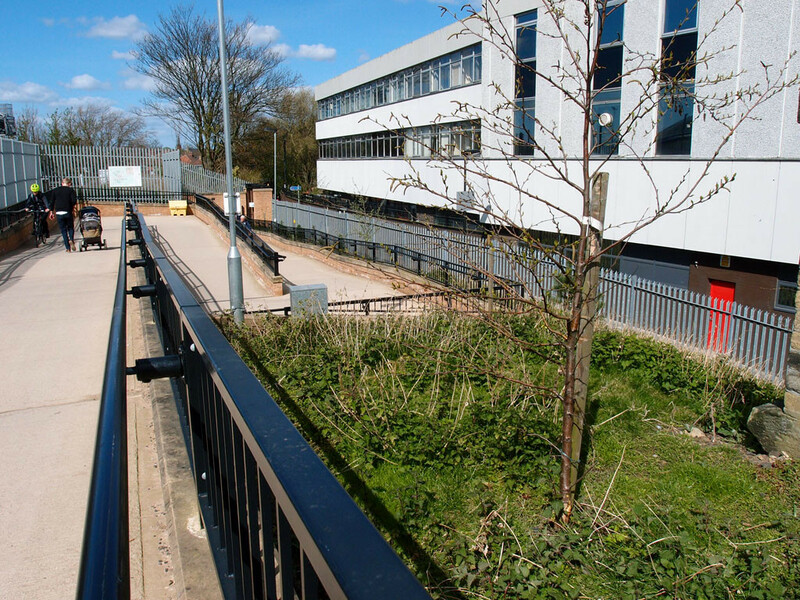 Particularly good is the way the ascent to the bridge on the Marygate side of the river starts some way back, along the side of the car park, meaning we don’t have to rely on the narrow path alongside the car park and then the ‘zig-zag’ access nearer the bridge. Though on the plans, the new ramp from the bridge seems to join on what seems like the wrong side of the top bend. I’m wondering why it doesn’t join directly to the top straight, ie nearest to the rail lines, giving a straight line in. On these plans cyclists coming off the bridge would be crossing the path of pedestrians and cyclists on the corner and would have to swerve round. Perhaps there’s some railway infrastructure here that the new structure needs to skirt around? Or perhaps it’s deliberately designed to slow down whizzing cyclists at that point. I’ve also often wondered why this area on the station side couldn’t include steps as well as the zig-zag, for pedestrians in a hurry who would find it quicker and more convenient to dash up a short flight of steps as an alternative to the rather more time-consuming/longer zig-zag. 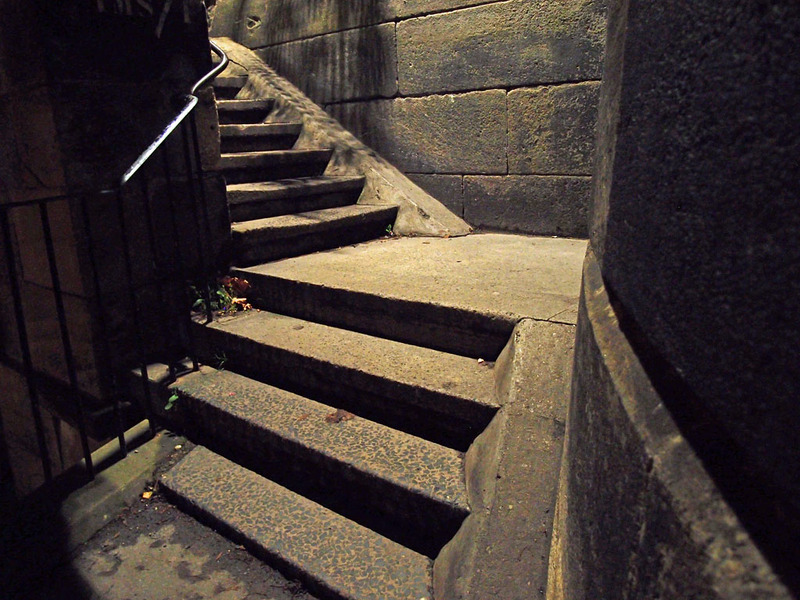 I’m pleased to see that steps are included in the plans for changes on the Marygate side. 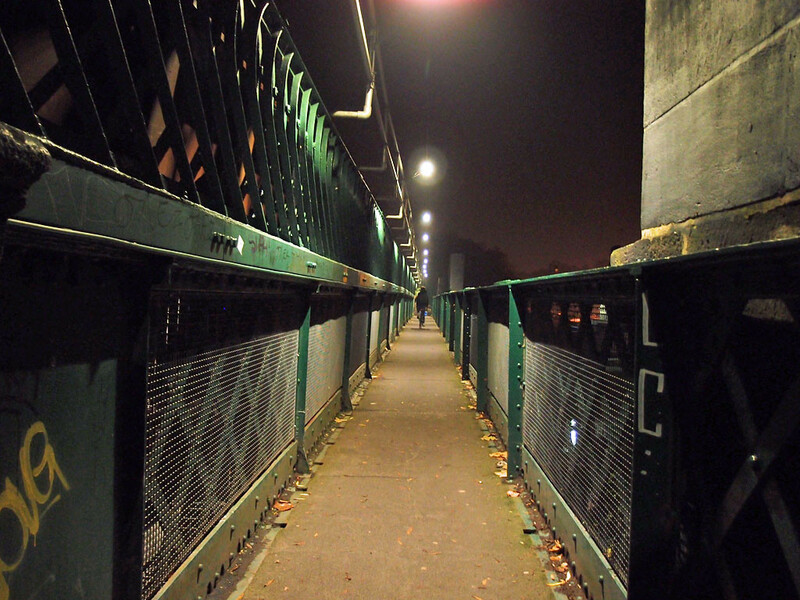 When the bridge is accessible to pedestrians and cyclists it’s not the easiest or pleasantest place to cross the river. Here it is on a dark evening. It’s narrow, and difficult for people to pass one another, particularly when pushing bikes. Many cyclists use it, but many more would use it if it didn’t involve having to carry your bike up the steps or push it on the rather inadequate sloped bits at the side of the steps. If you’re a young fit person with a top-of-the-range lightweight bike then perhaps it’s not too much trouble, but for many of us with heavier bikes who aren’t super athletic it’s enough to put us off attempting to cross with a bike. I do sometimes, but have been eagerly awaiting the plans for an upgrade. 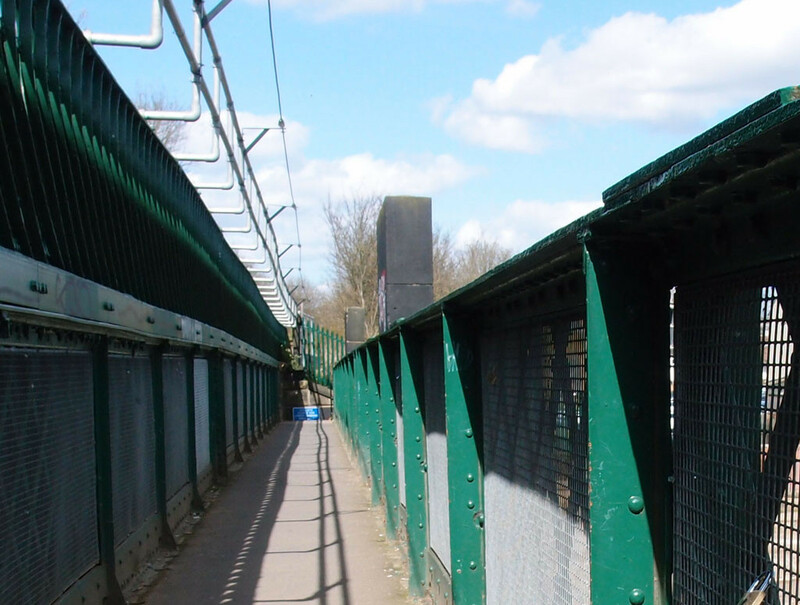 The other important aspect, of course, is that the current pedestrian bridge is of no use at all to wheelchair users. Those gentle slopes proposed instead seem a delightful prospect, for all these reasons. 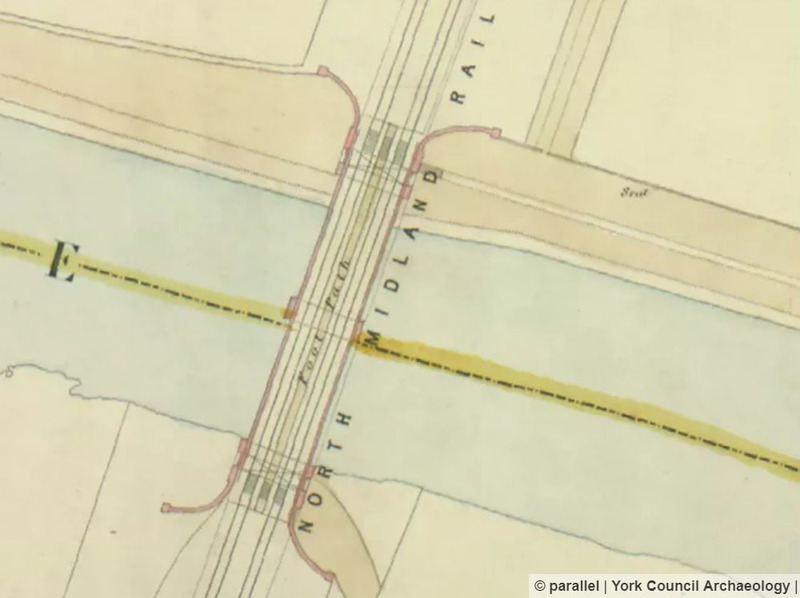 the noble bridge by which the York and Scarborough Railway is carried over the Ouse, and the Directors of the Railway Company, with great liberality, have made a public foot-path across the bridge, which is approached by a staircase in the abutments on each side. From this bridge a view of many of the most pleasing objects which this city possesses is at once presented. Many people take photos of this view of Lendal Bridge from Scarborough Bridge, but I imagine that not many people take pictures the other way round, of Scarborough Bridge, so perhaps it doesn’t matter too much what the new addition to it looks like. The piece in the Press begins, in rather excitable tones, with the proposal of ‘A dual-carriageway on stilts over the east coast main line’. Presumably dual-carriageway as it continued over the Ouse too. The 2017 plans for an improved Scarborough Bridge were announced in recent days at the same time as a lot of media coverage regarding the increased pressure for upgrading the A64 and the outer ring road to dual carriageway. 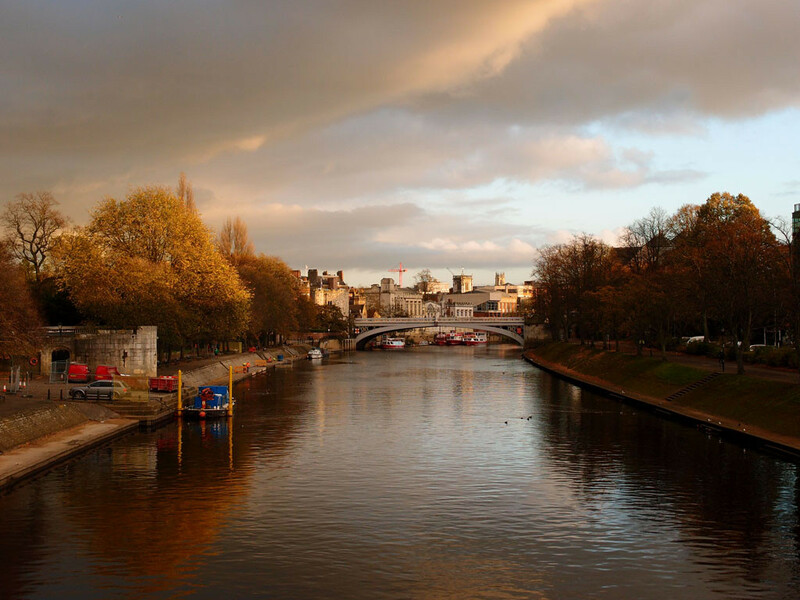 The roads issue seems to have got a lot of attention, the bridge plans here in York centre not so much. But, as a commentator sitting by Scarborough Bridge once commented, it’s all connected. 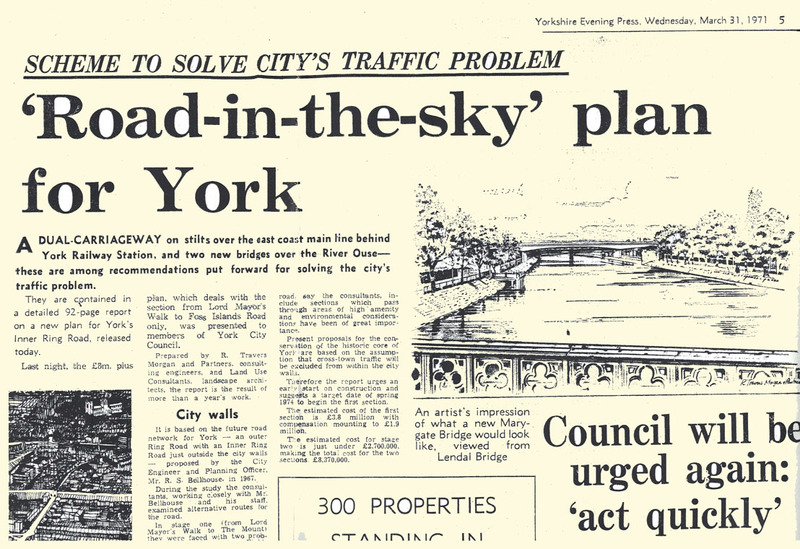 We didn’t get a massive new inner ring road with a bridge across the Ouse to Marygate, we got a new outer ring road instead, some time later. It’s now clogged up and so new dreams of the ‘free-flowing road’ are being promoted. As cycling becomes more popular the riverside cycle tracks can seem like they too need their width doubling, as cyclists and pedestrians jostle for space on the busier sections. I hope the new bridge here by the station is made wide enough for everyone who wants to use it to pass comfortably, now and for many years to come. It could end up like the Millennium Bridge on the other side of town, with people just sitting on it to admire the view and watch the world go by. 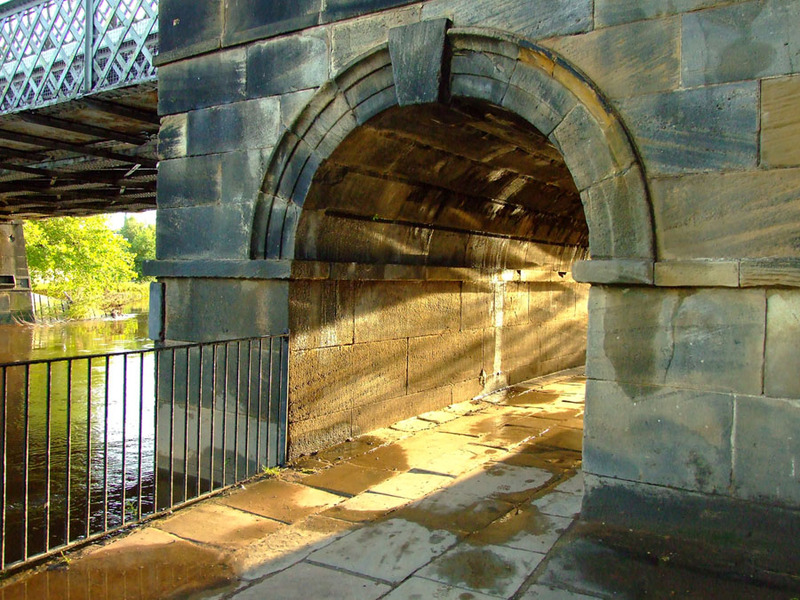 Though it’s not considered a thing of beauty, the old bridge, it has its moments, with its side arch on the Marygate side framing a view of the city as you walk along the riverside, and catching the sun beautifully on summer evenings. I hope the new structure won’t affect this. There’s an opportunity to inspect the plans and discuss this proposal with the Project Manager at an exhibition in York Station foyer from 1pm to 6pm on Wednesday 12 July, and from 8am to 1pm on Thursday 13 July 2017. 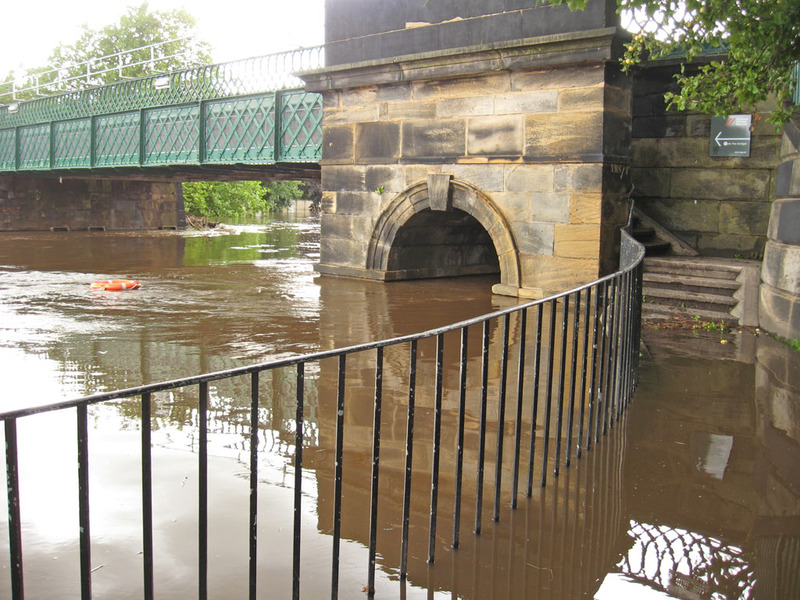 You can also have your say by sending comments to scarboroughbridge@york.gov.uk or by post to: Scarborough Bridge Consultation, City of York Council, Transport Projects, Eco Depot, Hazel Court, York YO10 3DS. For more information see www.york.gov.uk/scarboroughbridge, which includes a link to the PDF of the plans. The proposed work follows replacement of the rail decks a couple of years back, something I followed and wrote about at the time. See this link for more. There’s a Google map to accompany this page. 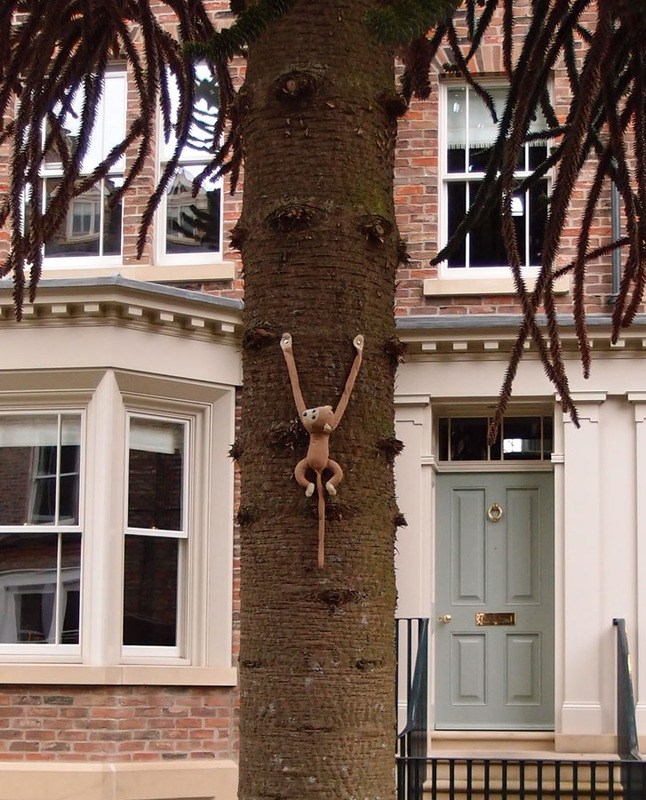 This long-running resident’s record of York and its changes continues to be added to as often as I can. It seems important to keep track of local issues affecting the city’s built and natural heritage and to share the local knowledge I’ve built up over the years. If you enjoy this site, find it useful, and would like to support this work, you can buy me a virtual coffee. Your appreciation is appreciated.